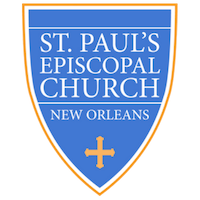 Join a group of people from St. Paul's in City Park every Saturday morning for a short run or walk. The route starts at Morning Call. The runners usually run about 3 mi, and the walkers take a shorter route. Everyone meets back at Morning Call for coffee, beignets, and conversation following. Come grow in relationship with some of your fellow St. Paul's folks, and get healthy doing it!